In February, we headed to Cuba and spent 11 days exploring Cuba on the 8 Day Original Cuba Adventure small group tour, followed by an extra four nights exploring Havana. It’s a stimulating city that’s full of surprises; you’ll hear musicians playing everywhere, and the streets are dotted with art – a different scene around every corner, just begging to be photographed. Having experienced the tour first, we met a few others who were also staying on in Havana and spent the next few days wandering around and exploring, stopping for great coffee and food along the way - four days is a good amount of time to spend here. Armed with our introduction to Cuban history and some practical advice we’d gained from our tour guide, we were prepared to deal with Cuba’s two different currencies (one for tourists and one for locals) and ready to hunt down public WIFI hotspots so we could share photos from our wanderings around the colourful capital! When’s the best time to visit Havana? The island of Cuba is warm all year round. In September and October, there’s a higher likelihood of tropical storms, but from December to May you can expect months of dry, sunny days. February is a great month to visit, and you can expect lovely, warm weather with average day time highs of 26C. There are plenty of interesting museums to visit, but we enjoyed wandering the city without any real agenda. As well as exploring, our friends from the tour got stuck into Spanish lessons and salsa lessons, so there’s plenty to fill your time. We found ourselves regularly returning to the main square (Plaza Vieja) and found a coffee spot just off the square which was always busy and good for people-watching. We’re really into running, so we went out for a run a few times in Havana. We ran along the waterfront (The Malecon) every day, and it seems mornings are also a popular time for running. This path is lively and busy and you’ll have views out across the water towards La Cabana – the 18th century fortress on the other side of the harbour. A run is always a good way to get your bearings, but we had to go early in the morning before the temperatures peaked and the traffic along the main road got too busy. The pavements are quite uneven, so you need to watch your footing! We visited the waterfront Artisan market that’s by the old train station. It’s a huge building, with mostly touristy souvenirs including handicrafts, sculptures and prints, but there’s also a big art section with original art. We ended up buying an original piece by a local artist which was a great souvenir to bring back. 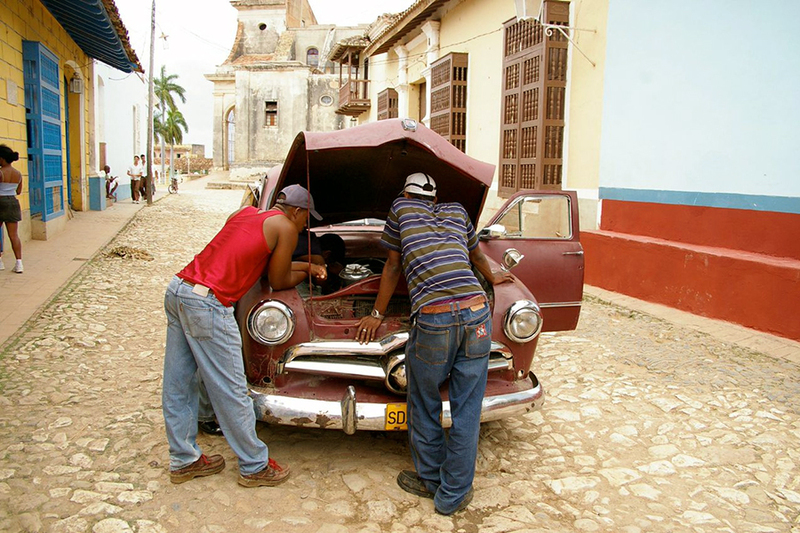 On our first day, we met up with our friends for a private tour of Havana, in a classic car. There’s a whole area of classic cars, all kept in great shape and lots of different colours. The cars are a legacy from a bygone era, and date from a time before the Communist government banned all imports of foreign cars and parts. The four of us were driven around for about an hour in an open-top car, for about $30. You can negotiate a price with a driver and choose to have a tour guide come along too, for a little extra history, but this is optional, and we declined. The cars available are a comfortable ride and they’re mainly convertibles but be prepared – there probably won’t be any seat belts or working speedometer! Our driver’s English was good, and he told us a fair bit about the city as he guided us around. I’d recommend this tour as we visited some parts of the city that we wouldn’t have travelled to otherwise and they stop for plenty of photo opportunities along the way. One thing we enjoyed about Havana and the other cities we visited in Cuba, is live music. Most bars and restaurants have live bands playing, and they’re usually really good. Our restaurant had a band playing all kinds of instruments and people in the crowd got up to dance with the band for a bit, which made it a sociable, enjoyable evening. In Havana, you’ll hear music everywhere, any time of the day and night and it creates a great atmosphere. Sometimes people are playing on the street and sometimes in the bars – everything from drums, all trumpets, flute, sax, matching shirts – creates atmosphere. On the way home, we took our first bike taxi (rickshaw). You’re advised to agree on a price before you get in, which was good advice as the first rickshaw we approached tried to charge us too much. The price is negotiable, so it’s a cheap and easy way to get back to your guesthouse if you’re staying fairly centrally. We started offering 3CUC (the equivalent of USD $3) and they always agreed! You won’t get tired of wandering around the city, because there’s so much art and architecture that grabs your attention. Throughout the city, many roads have works of street art. The narrow alley of Callejon de Hamel had plenty of Afro-Cuban street art and there are galleries dotted around nearby that you can go in to and look around. Cuba produces some of the world’s best-selling rum, so obviously, we needed to check out the local cocktails while we were in town! We sampled various cocktails including Pina coladas Mojitos and Daiquiris - the perfect reward after a day of pounding the pavements! In some places, they will leave the rum on the table for you to top up; elsewhere, you can ask for more rum if you want it. At Jibaro (69 Merced, Havana) I had an amazing Pina Colada made with fresh fruit, so I was very happy for them to top me up when my glass was empty. Wi-Fi is limited in Cuba as a whole. You need to buy a card in advance (and not off the street) and find a spot that has Wi-Fi so you can connect. Access is generally not available in bars or restaurants, but in the squares around the city (excluding the main square). Although it’s a bit hard to get used to being connected maybe once a day, it does mean that people aren’t glued to their phones all the time. Since 2015, Cuba’s telecommunications provider has been opening public Wi-Fi hotspots which in recent years has made it much easier to get connected. It’s a common sight to find people clustered in an area, seemingly ignoring each other but scrolling on their phones – and that’s a clear sign you’ve found one of the cherished hot spots! We stayed in Old Havana in a waterfront guesthouse (locally known as a ‘casa’), which was offered as a pre- or post-tour add-on, with our Cuban Adventures tour. Our casa was a typical Cuban guesthouse; a beautiful, huge house with five or six guest rooms run by two Cuban guys. We had an ensuite room which was basic, but comfortable and clean. Breakfast is included and you’ll get to enjoy it from their adorable rooftop patio! Breakfast options included coffee, bread, eggs, fresh fruit and fresh juice. It was always pretty tasty. One tip I have if you’re staying in Havana: bring ear plugs. Crowing roosters seem to be everywhere! You won’t expect to hear so many in a city, they often crow from as early as 4am. We kept the air conditioner on all the time to drown them out! We enjoyed dinner at Mojito Mojito a popular restaurant in Old Havana (between Cuba and San Ignacio) which was recommended to us by the owner of the casa our friends were staying in. The food here is amazing (I had chicken) – and here we enjoyed one of the best meals we had in Cuba. Look out for the ‘Mega Mojito’ which is very tasty - it’s an enormous, shareable mojito made with a local Crystal beer added on top – you can drink these all over Havana. As Cuba doesn’t import much food, they mainly have what they grow themselves. I discovered after the first couple of days in Cuba that fish is often the tastiest choice to order and it’s always fresh and well cooked. Fresh fruit is very easy to come by, but vegetables are not as abundant. People have asked me if I think Havana is safe. From my point of view, I found it a safe city to wander around at any time of the day or night. You’ll hear people from shops call out to get you to visit their touristy shops or offer you a taxi, but they are all OK with you saying no; everyone’s quite friendly, and we didn’t feel harassed as tourists. It’s not safe to drink the water, but there are plenty of little corner shops that just sell bottled water, and there are fridges in the rooms in the guesthouses. Everything is paid for in cash, so take GBP or Euros to change (not US dollars as they charge an exchange fee) as well as a debit card to withdraw money. You can only exchange for currencies for the Cuban tourist currency (CUC) while you’re in Cuba, and you should only change your money in banks or CADECAS (Currency exchange). Are you interested in visiting Havana? Spending a few days in Havana was such a great way to end our 11-days in Cuba, so I recommend adding a Havana city break at the end of your tour. 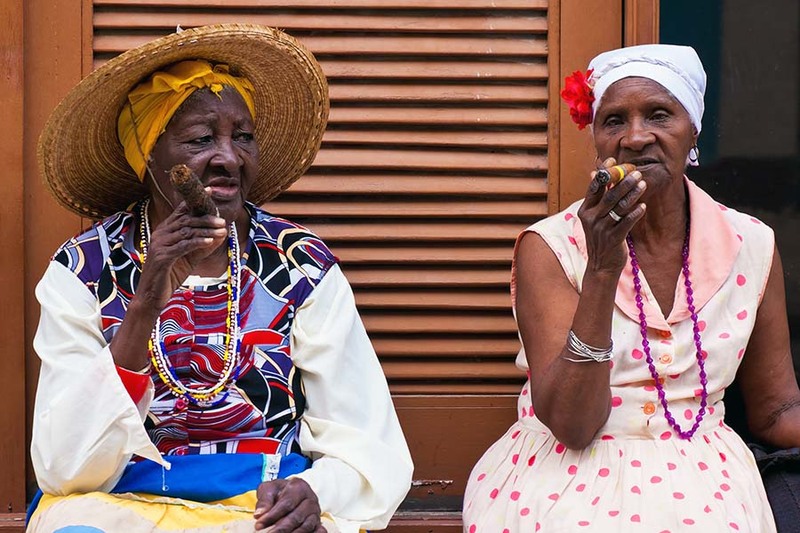 It gives you a little longer to soak in Cuban culture and to understand more about this fascinating country that was sheltered from the outside world for so many years. If you’d like to visit Cuba, we help you plan a trip, including direct or multi-stop flights that include Cuba. We can recommend a small group tour to help you discover the real Cuba, and we suggest recommending adding a few days in Havana to make the most of your stay. 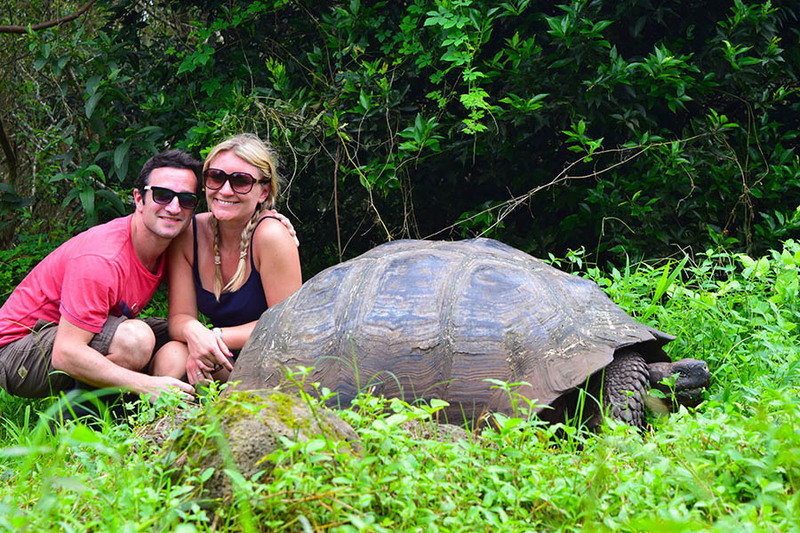 To start planning your trip, call us on +44 1273320580 or request a quote by email.